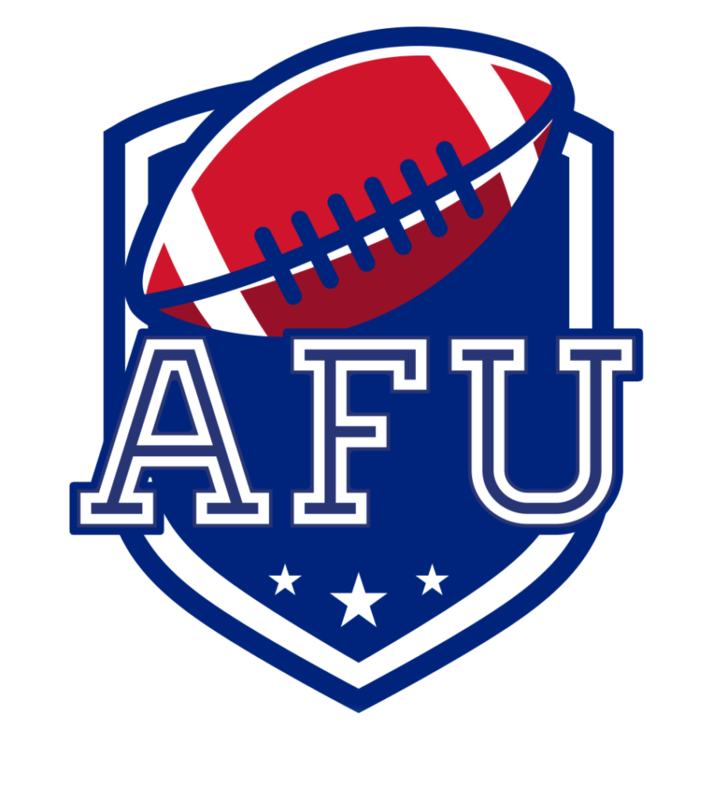 Head Coach of the Derby Braves Taylor Brown unveiled recently American Football United, a website aiming to provide a place where all levels of players and all levels of coaches can come and expand their knowledge of the sport. Wanting to help progress the sport of American Football as it becomes one of the top team sports in the UK, alongside rugby and traditional football. Taylor, an All-American at the NAIA level and University of Saint Francis alumnus, has over 15 years of experience playing and coaching American Football. Gridiron Hub spoke to him to find out what Taylor hopes AFU will bring to the British game. Firstly Taylor, thanks for speaking to us, can you tell us a little about your extensive background playing football, and how you’ve found yourself coaching here in the UK? Thanks for having me. I first started the sport when I was 7 years old, and I just remember the pads weighing more than me. I grew up in a small town called Chesterton, which is in Indiana near Lake Michigan. I played pop warner which is league dedicated to youth development, and there are division based on age and weight. A typical player will stay in this league from the age of 7 till about 13, and then you play for your middle school team. I played both ways when I made my debut in High School competing at the varsity level as a sophomore, which is not very common due to a huge size difference and talent level. I received all area honors and was selected as a region all start for the cornerback position, meaning I was top for my position in the northwest Indiana region. From this came offers to play at the next level and I decided to attend the University of Saint Francis, out of Fort Wayne Indiana. I choose this school because of all the great things I heard about the Head Coach, and just wanted to be part of a winning tradition. At USF, I received All-American First Team my junior season and Pre-season First Team my senior season. I Also left USF as a Locker Room legend, setting a single game tackle record for 19 tackles. I was not sure what I wanted to do after USF, until I received a phone call from an old high school teammate, Sam Jaeger. Sam was out in Germany playing for the Tollensee Sharks, in Neubrandenburg and told me they were looking for a safety/WR. I of course wanted to come ball out and be an ambassador for the youth out in Germany for American Football. I then received an offer to study Law and continue playing at Derby, for the Derby Braves. After Finishing my Uni playing career I decided to help coach as they needed coaching staff. I now coach for the Braves when I’m not playing for the Leicester Falcons, who have just made it to prem. Its been exciting to see the progression of the sport since arriving here in 2015. Looking forward to being a component in this trend. What has been your impression of the British game? My impression of the British game has been one of admiration. Most of them are paying to play, which is outstanding, and that is directly correlated to the impact the sport has on their lives. Yeah, you may struggle getting players to turn up to training, but that’s because unlike in the States, where football is life, here football is way of life. You could have a player to your left with two kids, and then have a player to your right just entering his first year of University. The diversity of players is something I find awesome. There are really all types of backgrounds involved in the sport across the pond. Another thing I find grand is the women’s leagues out here, these women are absolute ballers. They have been breaking down the barriers of American Football as ‘just being a man’s sport’ and showing this is a sport made for all types of physiques and anyone who wants to smack someone around on the weekend can come down and pad up! What made you want to create AFU? I created AFU for the main reason of progressing the game that has made a huge impact on my life. I want to share with people everything I have learned with this sport and pass over the winning philosophies that I have been coached. How do you see AFU helping to fill some of the gaps lacking in the British game? I see AFU being a place where players and coaches can go to read up on anything American Football. If there is a small nugget that helps them in any way, then AFU is a success in my eyes. There really is not a platform dedicated as the focal point of information for the sport. Most sites have real basic free articles, but all my articles are free, and you can access them on any device. We offer strength and conditioning plans designed at a professional level to take your game to the next level. We are currently planning future products (nutrition plans, sports psychology, and coaching/ref training). There will be more information on those closer to the times we have a finished product. Is AFU aimed at a particular type of player? It is aimed at anyone who wants to progress with the sport and have some valid components to add to their knowledge of the game. This is for coaches looking to be more effective leaders, and to help them be more efficient in their game/practice preparation. I’m not claiming to be a professional level of expertise, I simply want to help people from my knowledge of the game with 20 years of playing experience. I will always be asking for input from coaches with much more experience than myself, that information will be referenced as their words and how they run their teams. You can find out more about AFU and see what it has to offer by heading over to https://afuhub.com to see all of Taylor’s work in action. There you can not only find Taylor’s blog’s, and articles, but also articles from other contributors from Derby university, with huge amounts of experience.